Your choice of roofing supplier can make a real difference to your business and to your customers. Obviously, being able to source a wide range of quality roofing products, backed by exceptional service, is key. But wouldn’t it be fantastic if you had even more support from your supplier, by way of new products and training, for example? By putting your trust in a one-stop supplier, here’s how you can benefit from so much more. 1. Product choice: A one-stop supplier has already invested time and energy into sourcing a range of quality products from leading brands that you can rely on, saving you heaps of time and effort. In addition, they can deliver products at speed through their local branch networks all around the country. 2. Leading edge products: One-stop suppliers are also usually ahead of the game when it comes to new and innovative products. They will have done the homework for you; leaving you with a ready-made range to showcase to your customers. 3.Quality products: One-stop suppliers allow you to easily access top quality products that come with no hassles and worries, giving you peace of mind in the products you supply, and satisfaction from the outstanding customer service you can deliver. 4. Consistency of supply: It’s reassuring to know that if you’re running out of product and materials, you can get your hands on more stock. Likewise, if you’re working in a different part of the country and the same network branch can offer what you’re looking for, it makes your job so much easier. 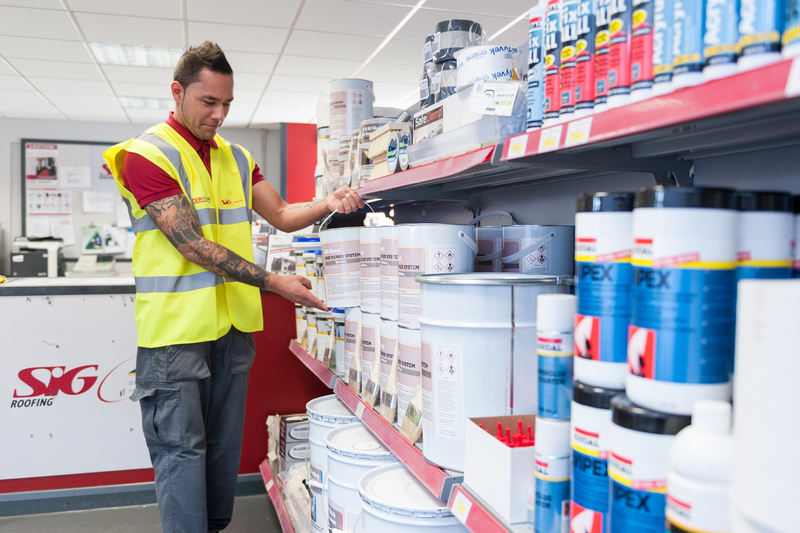 A good one-stop-supplier will provide a core range of products that are available at any time, regardless of where you are, enabling you to get on with the job at hand. 5.Technical support: One-stop-suppliers are also more likely to provide excellent advice and training, as well as technical support. Whether it’s support on products and accessories, or technical advice, it’s important to know that your solution is just a phone call or branch visit away.